Earlier this summer, YouTube Music launched after months of rumors. The company’s most recent move in the streaming space aims to leverage YouTube’s unique role in video and music culture, piecing together the best aspects of previous services (YouTube Red, Google Play) and combining them with novel ideas. The public rollout of this new product doubles as the first major initiative under new YouTube Music head Lyor Cohen, the legendary record executive who took over in 2017 to help mend a historically complex relationship with the industry. While it’s a bit soon to say how much impact this new service will have, don’t sleep on YouTube. They have over 1.5 billion monthly users, a number that completely dwarfs every other streaming service combined. For that reason alone, anything they do has major implications for artists and the music business. So what is this new product and how does it relate to the YouTube we all know? Are there new opportunities for exposure that artists should be jumping on? What should artists, managers, and music people know about the new YouTube Music? Playlists are all the rage these days, and yes, they’re a big part of this service too. In addition to algorithmically driven playlists based on listening habits, YouTube Music is creating editorial-based playlists in the same vein as Spotify and Apple Music. Even the order of tracks on a playlist will be tailored to the individual listener, which is designed to “ease listeners into the experience” and decrease skip rates — good news for artists. One element that’s been important to the team behind YouTube Music from the beginning is an algorithm that won’t necessarily serve the most popular hits to its listeners, but songs that each user will genuinely like based on their tastes and tracks that will make the user “cool to their friends.” Built into that, according to Breece, are opportunities for artists themselves to promote their music. 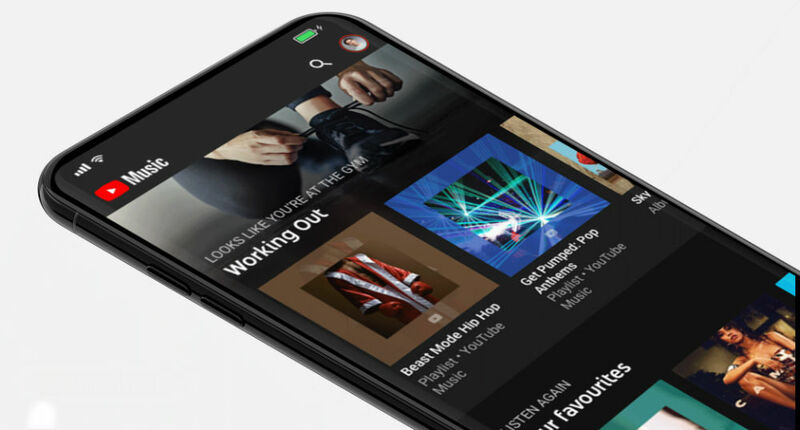 Additionally, YouTube Music hopes to restore context around creators themselves through features like the artist-based “More From” playlists, providing rabbit holes for potential fans to spend more time with each act. Even though YouTube is, obviously, a video-streaming platform, YouTube Music’s focus is on presenting audio and deepening the listener’s experience through live cuts, acoustic versions, and a variety of other tracks. The key here, says the company, is that each user’s experience of that audio will be different based on their already-established preferences — even where they are at a certain place and time. YouTube has a complicated history with music. They’re an innovative force for creativity and have pioneered completely new forms of music revenue through user-generated content (UGC). They’ve created massive new paths to exposure for artists by democratizing how fans discover music. And they’re the biggest music streaming service by every conceivable metric, with one very notable exception, of course: royalty payments to artists and songwriters. That’s been a major source of friction that YouTube Music could solve. Converting just a small percentage of their user base into $9.99/month subscribers could put YouTube on par with Spotify or Apple Music in terms of artist payouts. Our take? More companies working to monetize more music fans is a good thing for artists and for the music biz at large. While it’s too soon to say how it will all play out, a platform like YouTube may attract a different audience than those already using Spotify or Apple Music. For now, one of the best things artists can do is simply start experimenting with and using the platform. Every release offers a wealth of analytics and insights creators and channel owners can leverage to improve their next move. On YouTube and beyond, platform literacy and consistent content make all the difference.